On August 26th, the Eagle Scout, Camp Staff, Mic-O-Say, and Order of the Arrow alumni groups hosted The Gridiron Glory Scout Night. Scouting alumni and their families viewed the NFL’s traveling Hall of Fame exhibit. The Gridiron Glory chronicled pro football from its humble beginning on America’s sandlots and overgrown fields, to the world’s biggest single-day sporting event, the Super Bowl. The exhibit contained over 200 priceless artifacts and several exciting interactive events. 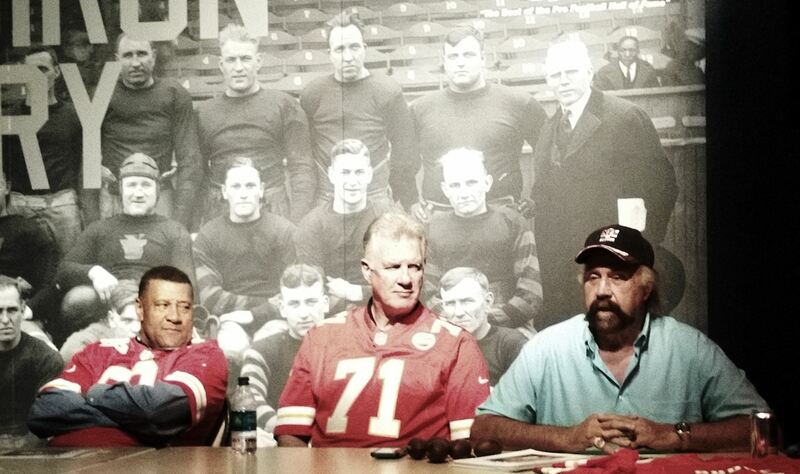 Former Chiefs players Walter White, Dave Lindstrom, and Ed Budde shared stories of their time with the Chiefs. A highlight was Ed’s stories of the Chiefs victory in Super Bowl IV. 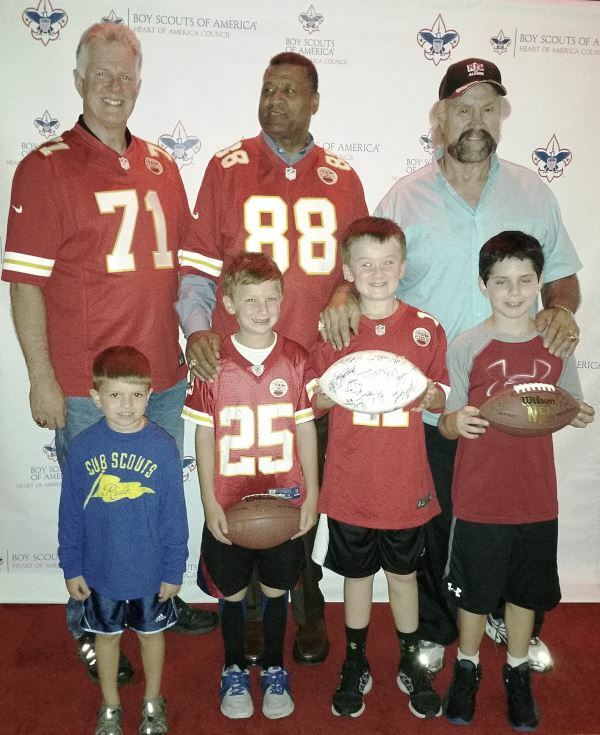 The Chiefs players also signed autographs and took pictures with the Scouting alumni.